Today, earning from the internet is becoming one of the easiest and popular ways of earning easy cash. With the help of the AdSense, there are several people who are publishing their websites and blogs on the internet and earning from it. 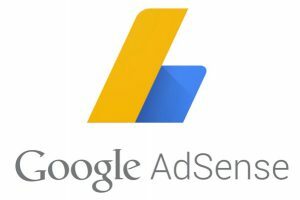 Adsense become the first choice for publishers, Adsense shows relevant and responsive ads which increase the interest rate of visitor towards ads to view and know about it more. This article is about what we should do to get Websites and Blogs Approved by AdSense. 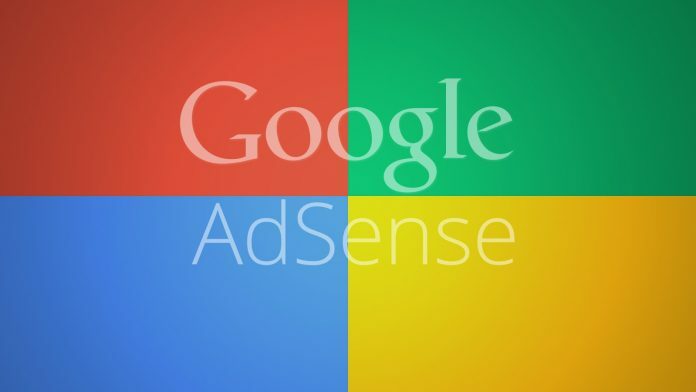 We will let you know what to do to get Google Adsense approval. But still, this is not as easy as it sounds to be. Adsense strict about their policies if they find your website is not following proper policies guideline then they will quickly reject your website under policy violation. One of the reasons, when your AdSense application gets rejected, is that because you are not following proper guidelines of Adsense policies i.e. Pages, Design, and content etc. You have to work on these things to make your websites and blogs approved by Adsense. One of the most important and major reasons why people get rejected from the AdSense is due to their copied content on their websites or blogs. 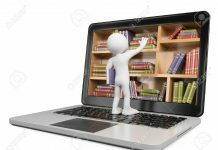 Therefore, always try to write your own contents on your web pages and avoid copying texts from any other website on the internet. Commenting is something which helps in generating more traffic on the website, without making it suspicious for AdSense and manipulating the internet traffic. Therefore, due to this reason, AdSense gives preference to the websites which are having commenting and blogging facilities for the visitors on the website. 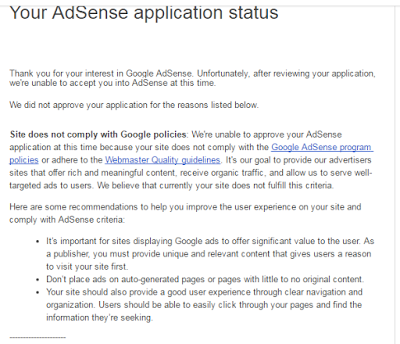 AdSense also monitors the interest of the admin for their website. The more effort people put in to maintain their websites, the more chances are there that their website will be approved by the AdSense. These days, the main target of the people is to increase the traffic, no matter how that traffic is achieved. Such websites are always rejected by the AdSense and even they blacklist such websites which use unfair means to get traffic. Always remember, once banned by the AdSense, one can’t get back to the AdSense in future again. 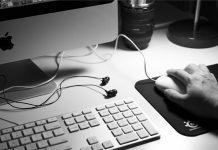 Therefore, avoid using such Black Hat techniques of SEO in any condition. You always heard that saying Content is king. Yes, that’s true because content plays important role in this. Without content, your website or blog is nothing So, write high-quality content and eye catchy content. A visitor should feel that they are in at the right place where they can find relevant and meaningful content. Best time for applying for Google Adsense is when you have at-least 15- 20 articles of approx 500-700 words. When your website design and content is fully optimized only then apply for Adsense. After applying all the above steps in your website then apply for Google Adsense. When your Google Adsense gets approved you received email Congratulation! Your Google Adsense is now fully approved. For more updates, stay tuned to us on social media. Laptop keyboard not working properly troubleshoot. RSS Feed explained with most popular RSS feeds.